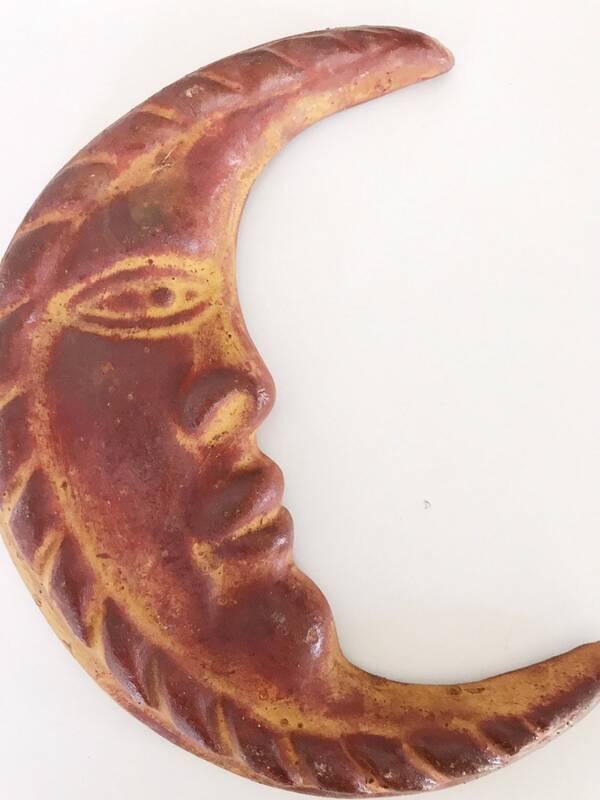 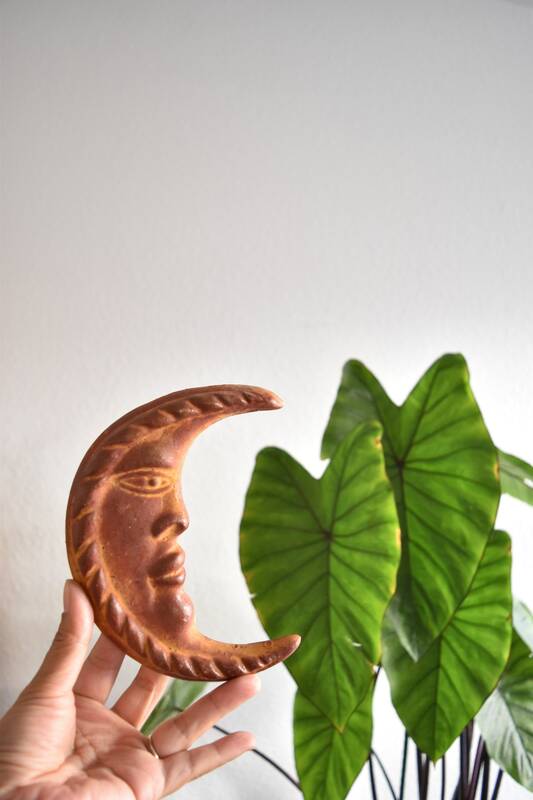 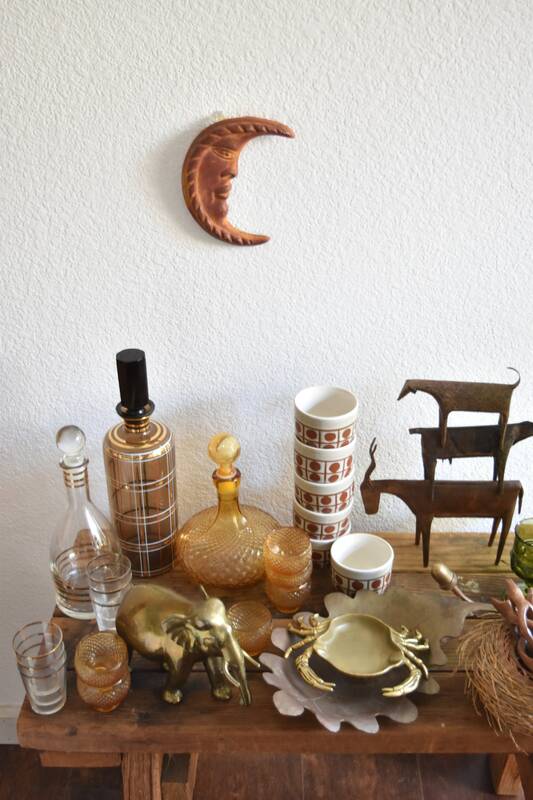 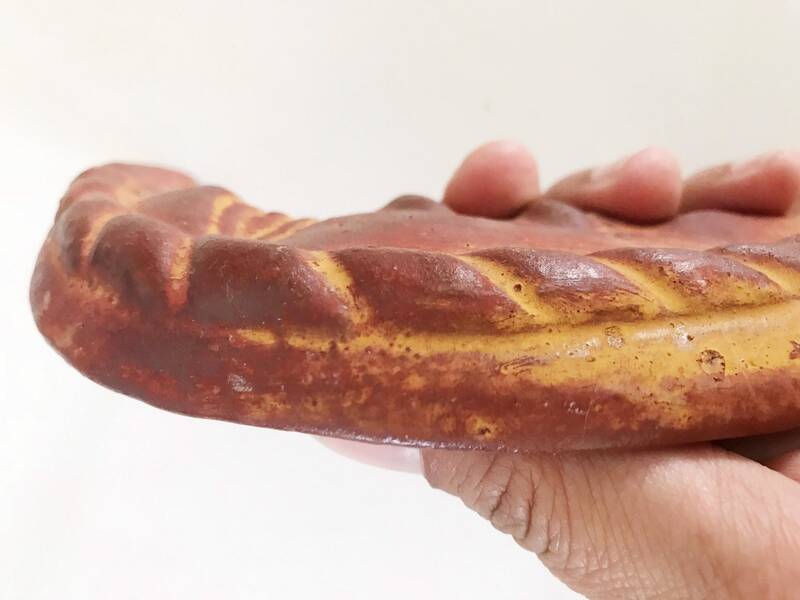 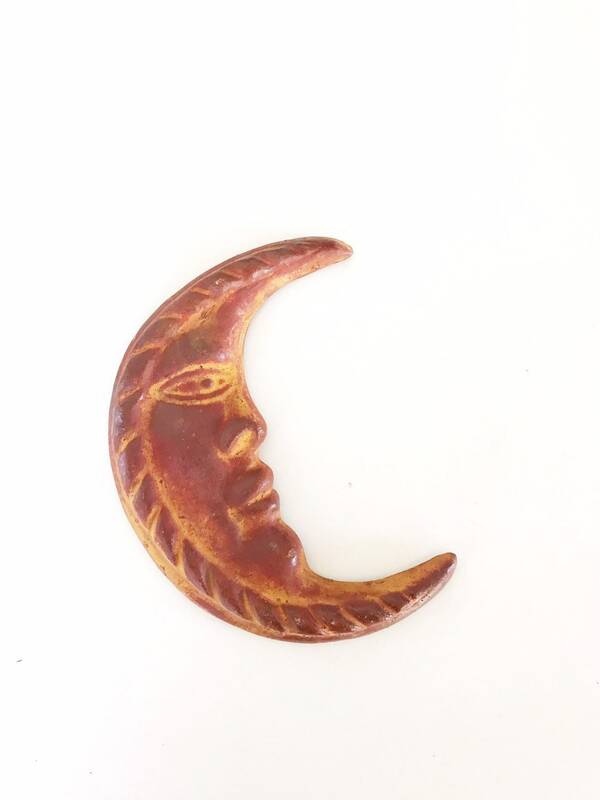 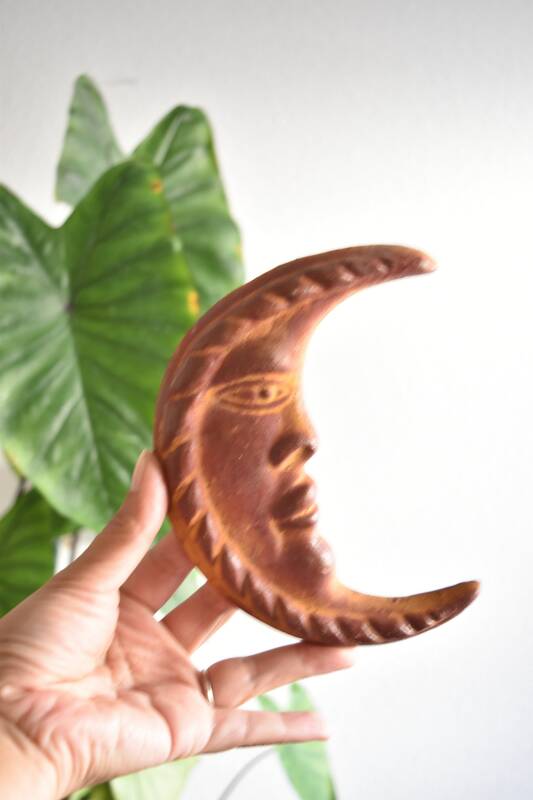 Charming handmade ceramic crescent moon wall hanging sculpture. 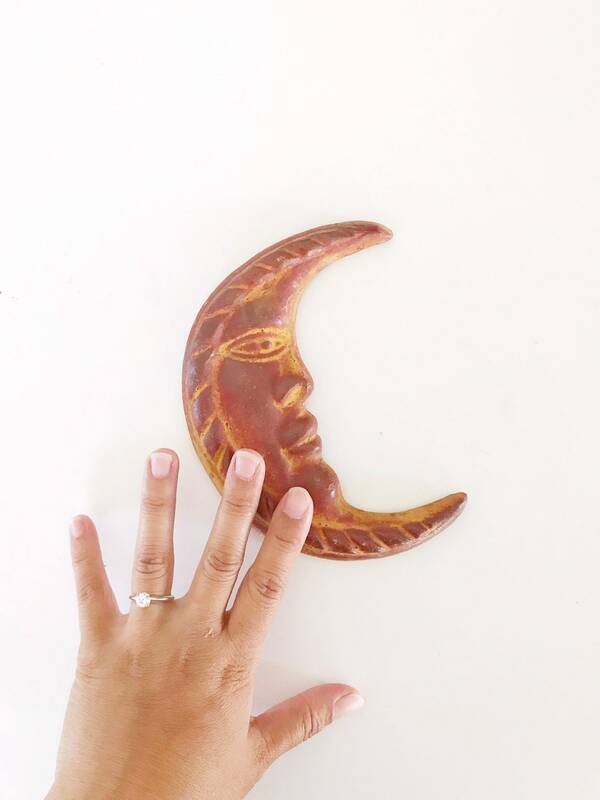 Hoop in the back for wall hanging. 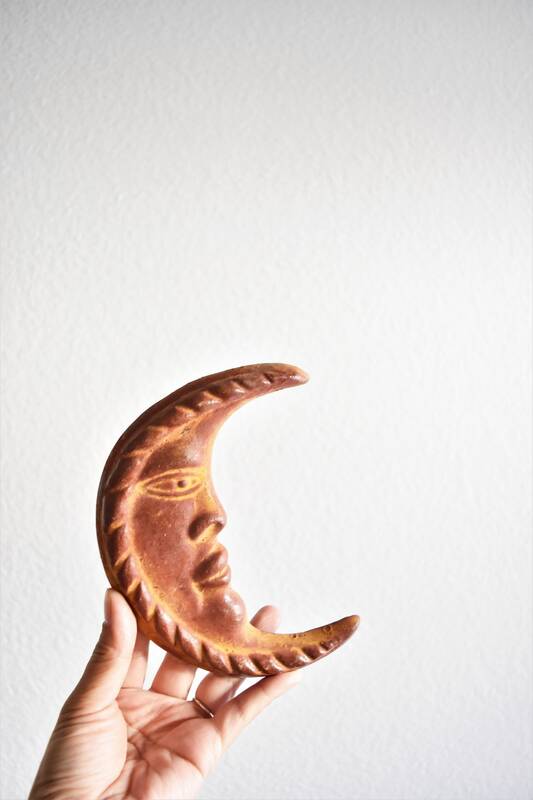 Lightweight. 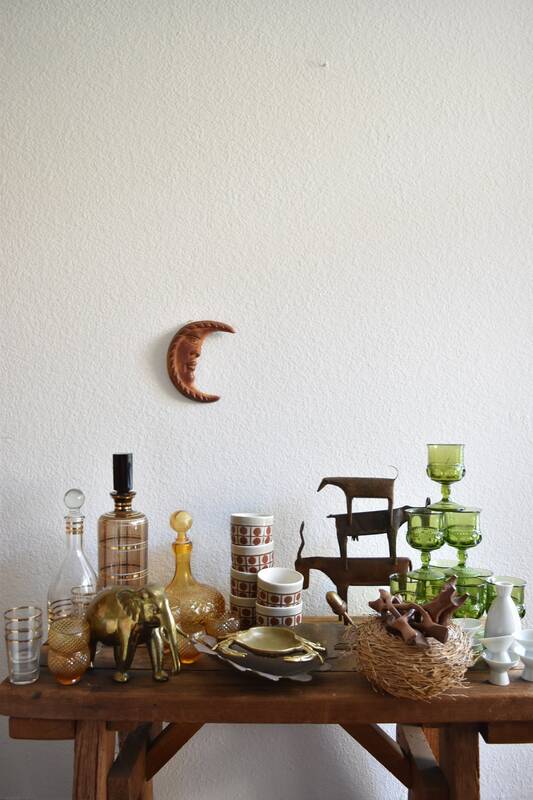 Can easily hang anywhere. 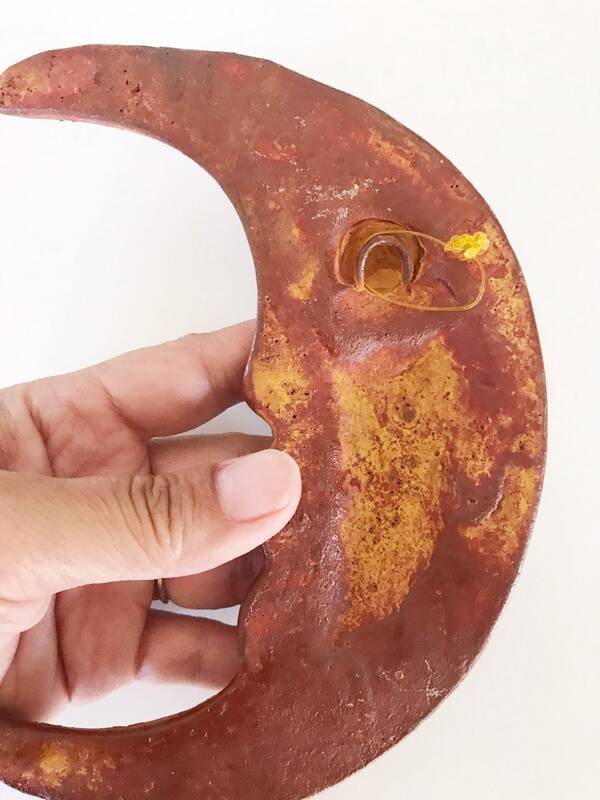 No chips or cracks detected.